Here’s a shocker, former UFC heavyweight champion Brock Lesnar (pictured) is completely shocked – at least that’s how he’s acting on the outside – that he was flagged by the U.S. Anti-Doping Agency (USADA) for potentially violating the anti-doping policy in his UFC 200 unanimous decision victory over Mark Hunt. “We will get to the bottom of this,” Lesnar told The Associated Press following Friday’s surprising revelation. The WWE offered Lesnar as a “one-off” loaner to the UFC in order to headline July 9’s historic event. Because of how things played out during the top secret negotiations between Lesnar and the UFC, the 39-year-old Lesnar was granted an exemption from the UFC and USADA, the third-party company the UFC hired last July to conduct year-round drug tests on their entire roster, regarding a fighter’s four-month holding period after announcing his return to MMA. Hunt was irate about Lesnar’s free pass, accusing him of being “juiced to the gills” before their UFC 200 shootout. Lesnar’s response? Well, it was vintage Lesnar. Yes, Lesnar is in fact a white boy. Yes, Lesnar is indeed jacked. And yes, we now have a better understanding of why this white boy is so jacked. Lesnar was enrolled in the USADA drug testing program on June 6, three days after signing his UFC contract. He was tested eight times in the month leading up to his fight with Hunt, including five times within the first two weeks. Outside of the June 28 exam, he produced clean results. If he chooses, Lesnar will be afforded due process to protest the results of his flunked drug test. It will start with requesting to have his B sample screened for the same illegal substance(s) that was discovered in his original A sample. The B sample will most likely also return positive, so Lesnar will have to plead his case before the Nevada Athletic Commission. He is facing a fine, two-year suspension and having his win overturned to a no contest. Considering Lesnar was merely a one-time rental for the UFC, it will be interesting to see if he even contests the flunked test. The NAC can’t force Lesnar to pay any fine if he decides he never wants to obtain a licence to fight again. 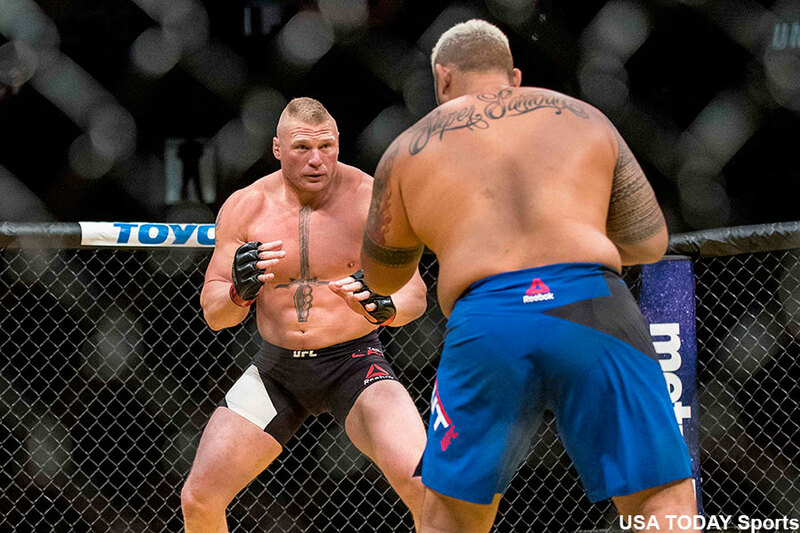 Lesnar received a UFC-record $2.5 million to show at UFC 200. That number pales in comparison to the millions more he will bank after receiving his piece of the pay-per-view pie.